St. Cledwyn’s Church stands on a hill above the village of Llanglydwen. This Church is situated on a defensive site overlooking the River Taf. 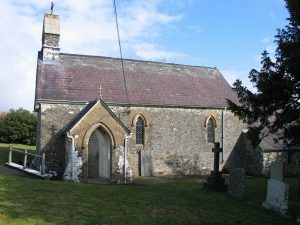 It is in the parish of Cilymaenllwyd and is one of three churches in the parish. The others are Cilymaenllwyd and Eglwys Fair. It is thought that the first building on this site was probably as early as the sixth century. It has played an important role in the life of the people since then. 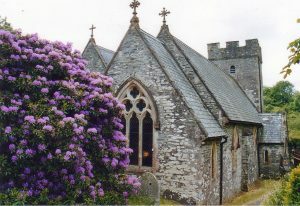 Llanwinio Church was founded by St. Gwinio in the sixth century. The present Victorian building was built on the foundations of the Celtic building. Whilst the foundations were being built for the present church a stone with an inscription in Ogam was found. The inscription translates as Bivadus, son of Bodibeva. The form of the letters date it to the late 5th – 6th century and it is now in the Carmarthen Museum. There is also a very interesting stone built into the wall of the porch. 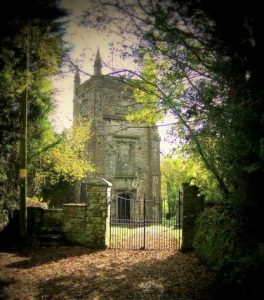 The church of St. Brynach, is a Listed Grade II building (17/02/2000) and the entrance gates to the churchyard of the church were listed as Grade II on 18/06/2004. 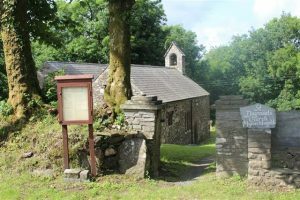 Our Church is dedicated to Saint Brynach who is believed to have come from Ireland to act as chaplain to Brychan, the Irish Ruler with headquarters at Brecon. There has been a Christian Community in Llanfyrnach since the 5th Century. The construction is circa 1842 in a Victorian/Gothic style. A tower is attached at the west end, forming a porch with a partitioned vestry on the south side. Stairs on the north side lead up to the ringing chamber above. We have two bells in the tower but no bell ringer.